Spotlight on Steve Guthrie (January 2018) - PeopleService, Inc.
We’re sure Steve Guthrie has been a mover and shaker his whole life. We know it’s true about his time with us. He first joined the PeopleService team in 1995. His intense work ethic and commitment to excellent service led to his promotion to region manager in 2012. 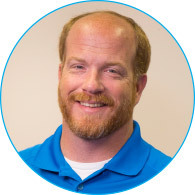 Steve’s experience with every aspect of the water and wastewater industry makes him a valuable asset to the company and to all of the partner communities he serves. His region, which spans both Iowa and Missouri, is thriving and he has many success stories to share. “There are a lot of great things happening in Missouri right now. One new project I am particularly excited about is the contract we recently signed with the communities of Urich, Drexel, Centerview, Chilhowee and the expansion of our contract with Creighton, Missouri,” said Steve. “All five communities will share a depth of PeopleService experts. This is a new approach that is expected to drive efficiency and leverage expertise for these communities. We will monitor how this approach works and apply the learning to future contracts and partnerships in the region.” Steve’s success and enthusiasm for his work comes from his deep understanding of how important that work is, and we appreciate that!